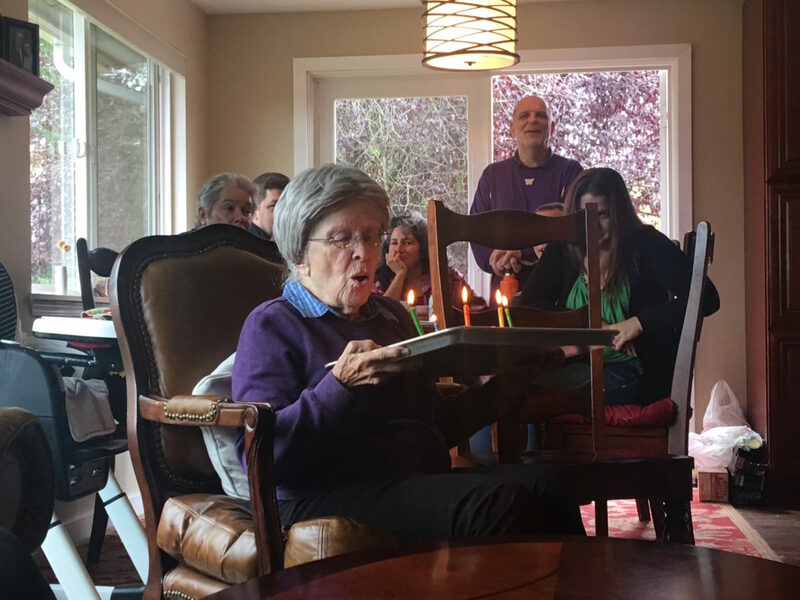 My grandma celebrated her 90th birthday this weekend. She’s an amazing woman and our family is blessed by her legacy of love. At just under five feet (4’ 10” but please don’t tell her) she stands taller than nearly anyone I know. 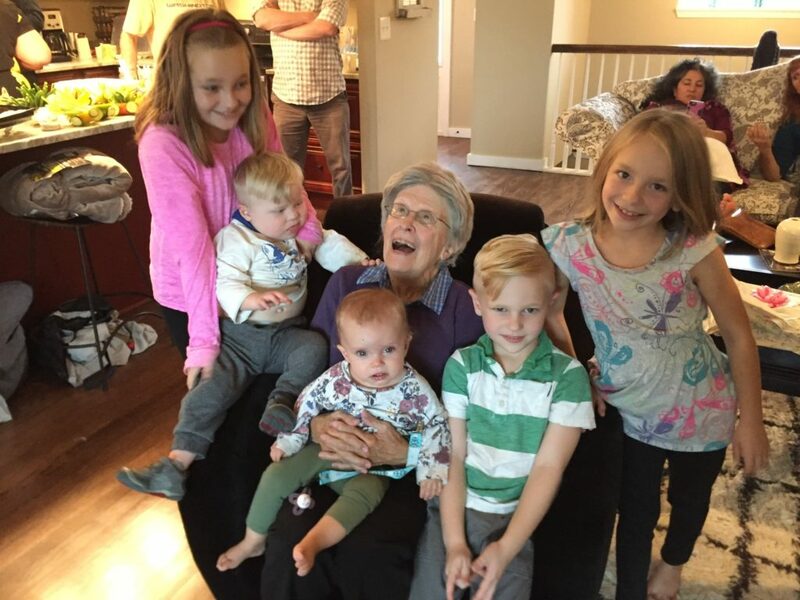 She is the matriarch of our big, fun-loving Catholic family. Olive Alzera Morte was born in the little town of Paia on Maui on October 8, 1926. She was the ninth of nine children; she was raised in paradise before it was truly recognized. Sadly, her father the hard working sugar plantation manager died when she was only eight years old. Her mother never remarried and took on all sorts of extra work to provide for the family. After graduating from high school she hopped islands and worked at the military base on Oahu during WWII. Much to her mother’s dismay she moved to the mainland to attend college in Oregon at age 20. Marylhurst College was an all girls’ school at the time and it was there at a school social she first met my grandfather. His aunt requested he bring himself and some of his Seattle University classmates to meet the undergrads at Marylhurst College. He wasn’t my grandmother’s date that night, but he saw her and knew he wanted to get to know her better. It wasn’t long before she transferred to and graduated from Seattle University. My grandparents were married in 1949. After four years of unsuccessfully attempting to have children naturally they were in midst of the adoption process when they found out they were pregnant with their first child. As exciting as this news was it was met with even greater sadness and disappointment when they miscarried. Never losing hope she was pregnant a short time later and gave birth to a son, her first of nine children in 1953. By the time my mother was born in 1958, my grandparents were raising five kids in a 500 square foot home in West Seattle. Yes, they were Catholic through and through. After the birth of Jennifer (number nine) my grandparents received special permission to use contraception to prevent additional pregnancies. The doctor told my grandma she had to be done because her body wouldn’t hold up through any more pregnancies. The couple that couldn’t get pregnant for years and miscarried when they finally did was now raising nine kids. My grandma was a homemaker until her last child reached grade school. You’d think she’d want some down time, but she went to work at Holy Family Catholic School to keep busy. Eventually she made her way in the corporate world and served as executive assistant to the president of the Lamonts Clothing Company. Side note: My grandma got me my first (and only) modeling gig. I was a Hanes Underwear model for Lamonts for a few months until the pressure got to me… Or until they found a cuter five-year-old to replace me. 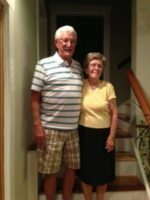 After 40 years of marriage my grandma lost her lifelong partner when my grandpa died in April 1990. In 1993 she married Jim McCoy who had recently lost his wife of 40+ years of marriage. They have been married for the last 23 years. Amazing. We had homemade breakfast together on countless school mornings. I will always be fond of those memories. My grandmother inspires me. She is so faithful and strong. She is loving and kind. She’s reserved yet willing to get on the ground and play with her great grandchildren. I’ve never seen her turn someone away from the dinner table. She makes room, adds to the leftovers and makes sure everyone has enough. She still volunteers at the local hospital and at a homeless shelter in Seattle. She is tough and tender. Strict and sweet. I’ve only seen tears in her eyes a couple of times. Once was on my wedding day another was as she reassured me before our son’s heart surgery. She’s incredible and isn’t finished yet. She has more to do and is intent on doing it. Happy birthday Grandma. I love you. I’m a better person because of your love and influence. Saved this picture to my desk top rotation. I loved reading this story. Your grandma is an amazing woman who’s led an amazing life. It inspires me to want to live life to the fullest and with such grace.